One of the good things about a modern car is the way it adapts automatically to climate changes. Come rain, snow, ice, or a scorching day in summer, cars cope with changes in temperature and environment. But although much of the time seasonal changes bring no problems, some checks are advisable as winter ends and spring turns to summer. In winter, the fan will not have had much to do and may be inoperative without you realizing. Check that it does in fact come on with the engine hot - say at idle just after a run. Some fans run all the time. Look for a lever - normally of bent wire - on the side of the air filter housing. It will have two positions marked, one for winter and one for summer. Unclip the lever and move it to the 'summer' position. Some cars have the lever on the end of the air inlet trunk. If the filter lid is marked for summer and winter this means that you have to rotate it - a mask attached to the underside of the lid blocks off certain inlets depending on its position. Undo the nuts holding the lid down, reposition and secure it again. Some filter housings have a movable air inlet nozzle on the end of the inlet trunk. In winter, this picks warm air up from just over the exhaust manifold. Loosen the nozzle and rotate it to the summer position. Some types have a movable flexible trunking instead. If you find no summer alternatives it may be that the entire filter housing has to be moved to a different position. Unscrew the central wingnut and move the housing to the summer position so that the nozzle will be in the cold airstream. This is likely to be the main area of concern. The system will have been underworked during the winter, not just because the weather is cooler so the engine does not run as hot, but because the heater will have been on for much of the time. This helps out the cooling system by acting as an extra radiator. Start off with visual checks examine all hoses for perishing and check for evidence of dripping from hose joints. Although it's not a good idea to disturb a sound joint, it is worth checking the condition of the hose clips and replacing any that are corroded. With the coolant topped up to the right level, drive the car for some distance with the heater switched off. This will tell you if the engine will keep cool without it and whether it is possible to switch the heater off fully. 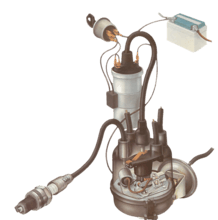 If the heater has been left switched on for some months, the water valve may have become corroded or blocked by corrosion. flush the system out fully with a hose pipe. Alternatively, add a flushing agent to the radiator, run the engine so that the agent can loosen any deposits in the system, then drain the coolant and refill. If the heater will still not shut off fully, check to see that the cables are secured - often, the outer cables are held to the heater body or bracket by spring clips and these can sometimes come adrift. If you decide to flush out the cooling system of your car at the end of the winter, don't be tempted to fill it up again with just plain water— use the correct antifreeze as well. Antifreeze contains an inhibitor solution which is essential to stop radiators and engines — especially those with alloy cylinder blocks or heads—from corroding. Hose through the radiator from behind to clear out any blockages of dead leaves or accumulated mud. Check heater cable clips or clamps to see if they are secure and will shut the heater off. Hose down the underbody after the last road salting to slow down the onset of rust. Touch up chips in paint and underseal - any bare metal will allow rust to take a hold. With a mechanical fan, check the drive belt. There will have been more load on the generator during the winter as it will have been powering more electrical equipment, and this may have worn it. If the belt is cracking on its inner face, renew it. A correctly tensioned belt has about 1/2in (13mm) of slack midway between the farthest two pulleys for an alternator and 3/4in (19mm) for a dynamo. Most electric fans have a thermostatic control so that they cut in only when needed. When the engine is hot after a run, let it tick over for a few minutes: the fan should cut in as the engine temperature rises. You should be able to hear it, but if in doubt, lift the bonnet and have a look. Most modern cars have an automatic air intake temperature control, but on some you have to reset the filter or its housing to a different position so that the engine is not sucking in un-needed hot air throughout the summer. Most underbody corrosion occurs in summer, when the salt, wet mud and grit that has collected underneath gets a chance to react with the metal. Because the salt absorbs moisture from the atmosphere, the corrosive poultice that forms never dries out. It eats away at the underbody protection and finally at the metal itself. A highly important precaution, therefore, is to hose these deposits from the underside and inner wings after winter - salting finishes towards the end of April. You can also steam clean.